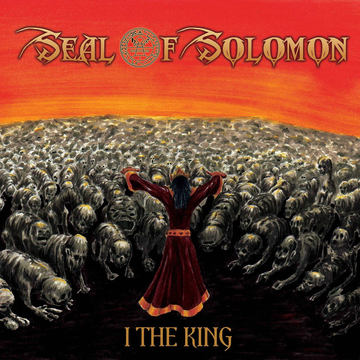 Seal of Solomon is a Turkish Melodic Death Metal band that was formed in Istanbul by Can Berk Öcalir in 2009 by the name “Unfurling”. While Can Berk Öcalir (N’efraim) was continuing his vocal duty on Aggregate Pain, the Seal of Solomon project have remain suspended for another 2 years. After Tolga Sanli (Anshar) and Doguhan Korkut (Aefril) left Aggregate Pain, this interesting project have risen again. 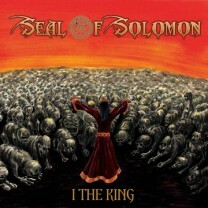 Razor’s former and Furtherial’s continuous bass player Ozan Murat Ozfen (Saladin) have joined the band and named it “Seal of Solomon” After the E.P. release, Oguz Akalin have left the band. Another successful guitarist Önder Dülger from the band Undertakers joined in 2013 and the band started the full length album sessions in DullGoat Recording House. Aggregate Pain succeeded especially in foreign countries as well as in Turkey with the support and sponsorship of Dorock Heavy Metal Club Istanbul. In the base of its musical sound, the band’s music contains melodic, orientalist and symphonic infrastructure. It’s general genre is Melodic Death Metal with a Black Metal background.